We're also asked well-meaning questions, such as "Is mayo okay?" I've been puzzling about this one, since mayonnaise is just eggs, oil, vinegar (or lemon) and salt, but maybe people remember the old food pyramid where eggs and dairy were lumped in together. When we do manage a meal away from home and get past the quiz show portion of the evening—"Bob, tell our contestants what they've won! "—there are often discoveries of new ingredients and nuances of preparation we can take home to experiment with. The other evening at Xico, for instance, the meal ended with a spectacular tangerine sorbet that was so fresh and bright it was like biting into a just-peeled wedge of citrus. A bit of paging through my collection of Mexican cookbooks and a scan through online recipes gave us a good base to start from, particularly David Lebovitz' version, though we eschewed his suggested addition of corn syrup sweetener. Result? 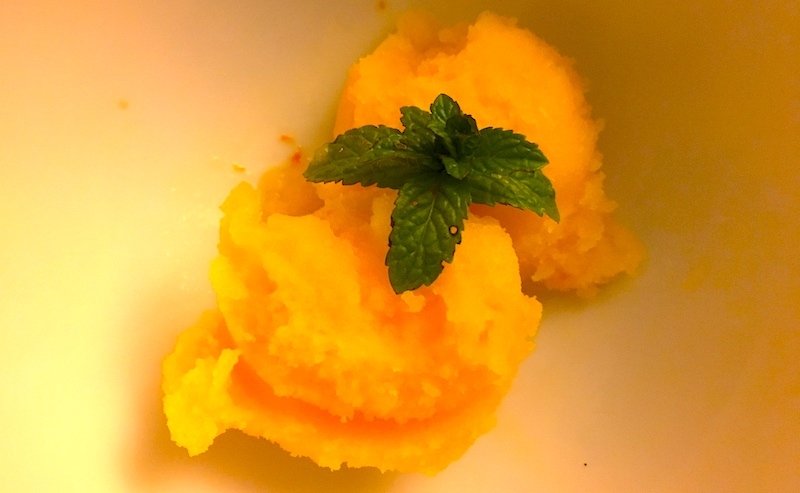 A fresh, bright sorbet we can make here at home that doesn't beg any questions! Mix 1 cup of the juice with the sugar and heat, stirring occasionally until the sugar is completely dissolved. 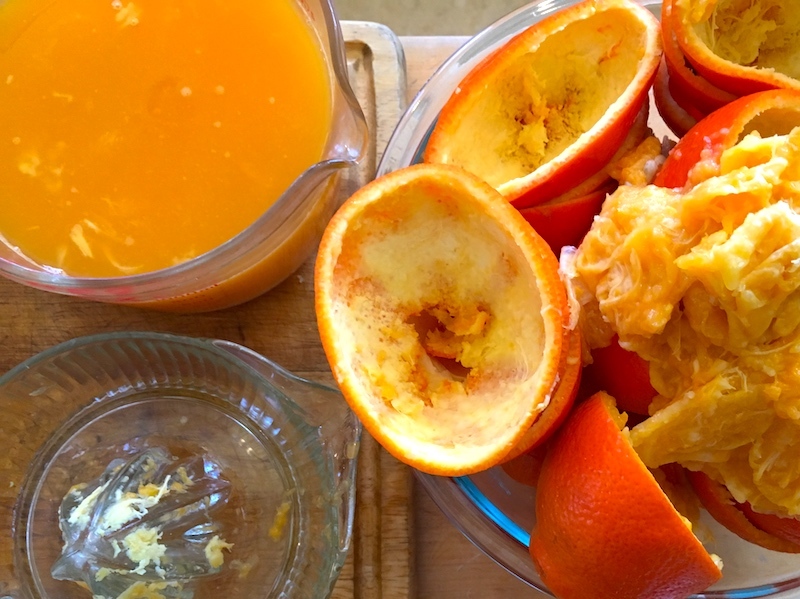 Remove from heat and pour the mixture back into the reserved tangerine juice. Add the zest and the orange liqueur. Chill the mixture thoroughly (Lebovitz says at least 8 hours or overnight but I put it in the freezer for 45 minutes, then the refrigerator for 4 hours or so). Churn the tangerine sorbet mixture in an ice cream maker according to the manufacturer’s instructions.